An excellent release and production idea by Scorpio to piece this material altogether. Though the title states "Last American Concert", this is really the second to last American performances by Jimi Hendrix along with Mitch Mitchell and Billy Cox. They played the last gig in Honolulu on August 1st, 1970 while this production was filmed and taped on July 30th on the horse pasture premises of the most active volcanic vibrations on the island of Maui - Haleakala Volcano (which makes up about 75% of the island from what I understand). "These tracks are recorded live on Thursday, July 30, 1970 for the soundtrack Rainbow Bridge VibratoyColor Sound Experiment, Haleakala Crater, Maui, H.I. Stereo Soundboard Recording by Abe Jacob. Directed by Chuck Wein for Warner Bros. Records. Never released Official!" 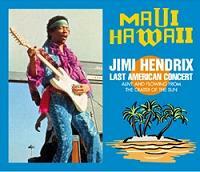 Disc 2 features "A very rare audience recording of Jimi's performances at Maui Hawai at Thursday, July 30, 1970. Never released before!" This is in fact an audience tape from the 2nd show, or set, from that July 30th event and is of excellent quality though you really only get Jimi's guitar and vocals, leading one to believe our taper was positioned right at the front of the stage in front of Jimi's amps - not necessarily a bad thing but you cannot hear Mitch or Billy until later in the tape when the drums bleed through a bit. This actually sounds like it's taken from a vinyl bootleg and includes the producers voice over commentary on the recording as Jimi segues from the guitar intro into "Red House". The DVD is really great, leveraging a direct source print of the film - which version, I am not sure as the original 1972 film ran about 74 minutes and as I remember, didn't include a whole lot of the performance footage of the band. It was a strange, trippy edited document of a time and a place and was pretty weird. I have learned there was a Director's Cut presented at some point and this one ran 125 minutes which included more of the band. Being that this one is around 80 minutes in length and doesn't have any studio imprints or credits associated, it makes for interesting dialogue. While the print here is excellent and accompanying soundtrack superb, it should be noted that there is some sort of playback/synching effect created by the different speed of the film and the subsequent playback here. Like the original film performance footage, here the video and sound are nearly perfectly in synch but there are moments where they are not. It is great to have the film of what appears to be the most complete visual document of the July 30th performance and makes "Rainbow Bridge" a watchable and palatable experience! Still included, we get the bizarre opening scene of Jimi firing an old rifle out the window of a house (imagery used on the cover of the War Heroes LP) along with very brief off-site frivolities of Jimi's girlfriend, Kathy Etchingham, and an unidentified companion. They are just randomly filmed touring about and being odd. 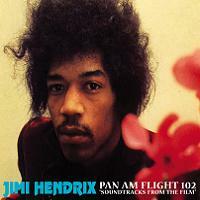 The premise for the film by Chuck Wien and enlisting Hendrix & band to provide the musical backdrop for the project was to have them provide the "'driving force' of a musical/planetary color and sound meditation" he referred to as 'Rainbow Bridge' and the band was never even mentioned initially. Rainbow Bridge was often confused as being the name of the site in which the concert was held but was actually the associated name of Wien's Planetary Meditation cult. This is a highly recommended little compilation by Scorpio with excellent quality throughout. There are some 16mm amateur films in circulation and would be the only items not included that would have made this a little more complete. But those would have perhaps diluded the set a bit as well. As it stands, this is pretty cohesive in presentation and quality. This legendary performance from Jimi Hendrix was recorded and filmed for inclusion in the 1971 hippie documentary Rainbow Bridge Vibratory Colour-Sound Experiment that Jimi’s manager, Michael Jeffrey, was involved with. The concert took place on a grassy meadow near the Haleakala Crater in Maui where the people actually had to hike to the site. The film reportedly only contained 17 minutes of Hendrix’s set in the middle of the movie and has been released on VHS a few times throughout the years but I am honestly not familiar with any of these releases in comparison with Scorpio’s new DVD. I can say that I’m sure there is more footage here on Maui Hawaii than was in the original film. Apocalypse Sound released a version of this on Maui 1970 – Stockholm 1969 and though I haven’t viewed theirs, the track listing is identical to this Scorpio offering and is more than likely the same version. There was a problem with the recording of the drums and Mitch Mitchell had to go into Electric Lady Studios and overdub his parts at a later date so at times it looks as though Mitch’s parts don’t line up correctly due to the overdubbing but Jimi’s parts are very well in synch. 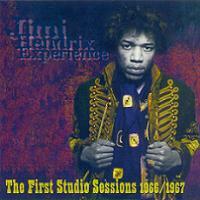 Disc one contains various tracks from the soundboard sources from both the early and late sets but is incomplete. “Spanish Castle Magic”, “Lover Man”, “Message to Love”, and “Fire” are all missing from the first set and only three songs are present from the second set, missing “Dolly Dagger”, “Villanova Junction Blues”, “Freedom”, “Jam Back At The House/Straight Ahead” and “Stone Free/Hey Joe”. I don’t know why Scorpio only decided to included parts of the performance where almost all of this material from the soundboard has been around on other boots and has even had a few semi-official releases from pirate labels like Purple Haze. When comparing Scorpio’s title to Rainbow Bridge 2, an Italian no-label boot released in 1995, I found both to sound very good but slightly different. They sound like they may come from different transfers of the source tapes with Scorpio’s version a little drier sounding where Rainbow Bridge 2 sounds to have more echo around the music. Rainbow Bridge 2 is also way more complete, only missing the “Drum Solo/Stone Free/Hey Joe” from the late set. Other boot titles include In From The Storm on Silver Rarities which contained the entire performance but was said to run too fast. Last American Concert Vol. 1 has the early set missing “Spanish Castle Magic” and Last American Concert Vol. 2 is the second set minus the last two tracks. Both are from the Swinging Pig label. Disc two contains an audience source from this show but is far from complete. Its origin is unknown to me although it could be taken from Incident At Rainbow Bridge, Maui, Hawaii, a single LP on the Dragon label and contains only a few tracks from the show. It sounds like it is sourced from very clean vinyl and has commentary from someone during “Guitar Intro” which is really the intro to “Hey Baby” from the early set. 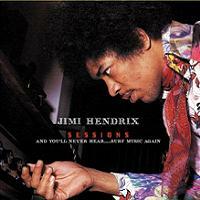 The quality is fair to good and will appeal to serious Hendrix collectors. Jimi’s guitar is high in the mix with the drums almost nonexistent but it is still an interesting listen where Hendrix is in excellent shape and makes me wish I had the entire audience source. The third track is actually “Jam Back at the House/Straight Ahead” and not “Villanova Junction Blues” as listed. “Here My Baby Calling” is “Here My Train A Coming” from the early set and “Incident At Rainbow Bridge” is the proper “Villanova Junction Blues” which segues into a minute of “Ezy Rider” that has the drum intro edited with the tail end of the song. This audience source is very fragmented but still a nice inclusion in the set. 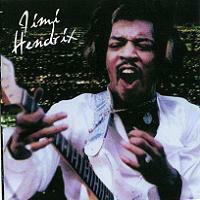 The DVD included with Maui Hawaii opens with a bizarre shooting scene where Jimi is seen hanging out a window with a rifle assassinating a public speaker. The DVD then cuts to people traveling up to the concert site to the music of “Pali Gap”, a song included on the posthumous Rainbow Bridge soundtrack, now long out of print but can be found on the official South Saturn Delta. The actual concert footage used in the film is fascinating but the film also focuses upon other things like surfing, footage of Pearl Harbor, and some psychedelic images which frankly I could do without. Appropriately, the film cuts to some scenes from the film Easy Rider during “Ezy Rider”. 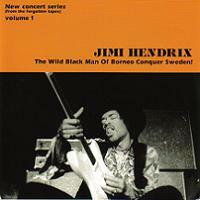 Most of the concert footage is so amazingly clear that I really hope the Experience Hendrix label will reconstruct this film and include more of the stage footage as Jimi gives a captivating performance. Also of interest is that Hendrix plays a Gibson Flying V in the second set as opposed to the famous white Fender Strat played in the early set. 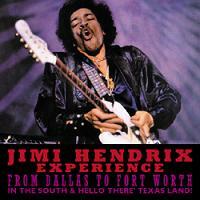 The conversation piece near the end of the DVD shows a very tired/stoned Hendrix unwinding the day after the concert. Overall, Maui Hawaii on Scorpio is a good way to obtain a nice pressed copy of the DVD and the rare audience source but the soundboard source, although excellent sounding is too incomplete. 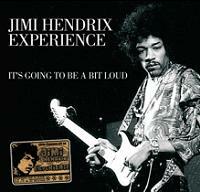 I am certain someday the Experience Hendrix camp will give this the deluxe treatment it deserves.